See that cover right there? 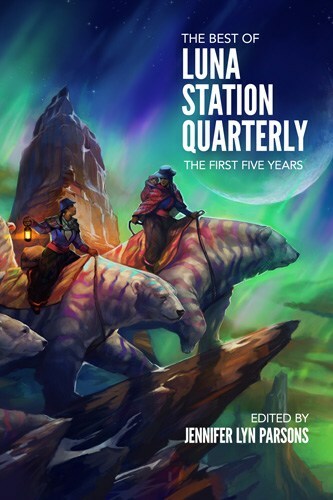 That is the cover of the amazing anthology celebrating LSQ’s first five years. FIFTY of the best stories we’ve published. And it’s gorgeous. Cover art? Yup, that’s Julie Dillon, Hugo Award-winning and wonderfully talented. I knew the moment I saw it that this book would not be the same without this image. It sums up so much of what LSQ is about.